Last semester, four undergraduate Wharton Social Impact Initiative Fellows dove into WIRED, a first-of-its-kind impact investing database. 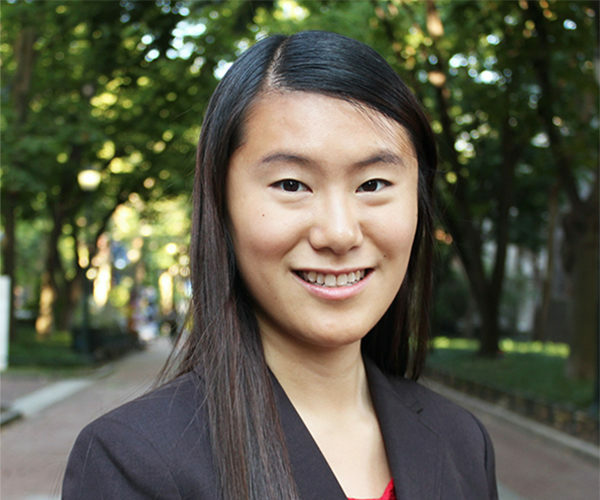 This spring, Wharton Social Impact Initiative (WSII) undergraduate Fellows Tina Gao, W’18, Wendy Jiang, W’19, Robert Harrison, W’18, and Rachel Leong, W’20, were analysts for the Wharton Impact Research & Evaluation Database (WIRED). The WIRED database is a first-of-its-kind data asset containing descriptive, financial, and/or legal information from over 100 impact investing private equity funds and over 600 transactions. It is part of ongoing research at WSII, led by Wharton professors Dr. David Musto and Dr. Christopher Geczy in collaboration with Dr. Jessica Jeffers of University of Chicago and Professor Anne Tucker of Georgia State University. The fellows reflected on takeaways from their research, and what about impact investing interests them the most, now and in the future. How would you define ‘impact investing’ to someone who has never heard the term? Tina: I have a loose definition of impact investing. I think of any firm that considers its investments with a broader social criteria than just financial returns as an impact investor. For example, it can be as simple as refusing to invest in tobacco companies or as significant as investing in a new hospital and healthcare system in a developing country. Wendy: Impact investing means investing with the goal of generating social impact alongside financial returns. It’s a process where investors actively screen for impactful investment opportunities. Robert: It’s the practice of seeking both financial and social returns by providing capital to companies. Impact investors typically seek social returns in the categories of environmental, health, and economic inequality. Impact investors typically measure a “double bottom line” of their investments, meaning both the financial and social returns are calculated and maximized. Rachel: Impact investing is a process in which you make money and help society at the same time. What did you enjoy most about the team of students you worked with on this project? Tina: I loved getting to know more people in the social impact community! It’s really inspiring to be surrounded by people who care passionately about similar issues and I learn so much from my team. My only regret is that I’m a senior and won’t get to stay at Wharton for that much longer! Wendy: I believe that we are all very passionate about social impact and we are always engaging in meaningful discussions on topics within the impact investing space. I have really enjoyed working together with this group of motivated individuals! Robert: I enjoyed meeting people who are passionate about the same area of finance that I am. As I got to know them, I learned about their career aspirations and what they hoped to get from their Wharton education. This has been a valuable and introspective experience, and has made the work much more enjoyable. Rachel: Our diverse yet similar interests. Each of us is pursuing very different career paths — banking, tech, non-profit — but we all want to be involved in social impact, and it’s interesting to see how we are finding that synergy between our impact goals and careers. What skills did you learn or strengthen working on this project? 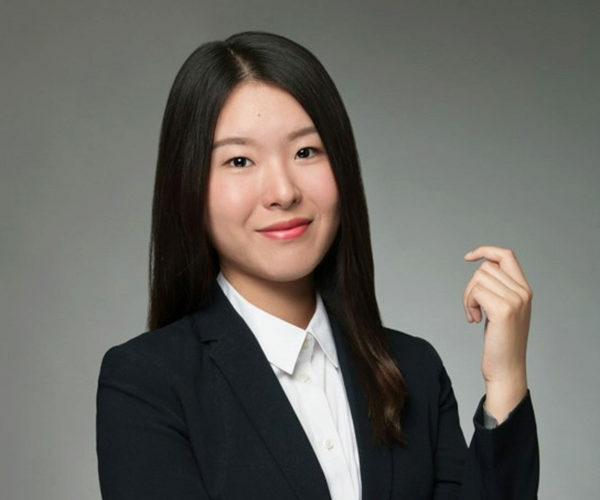 Tina: We analyzed a lot of portfolio companies’ cash flows, so I’ve definitely become better at understanding financial statements and legal documents. Wendy: I developed my ability to deal with ambiguity. When working on the financial information, I noticed that different funds record their investments differently, so we sometimes had to conduct more research in order to get a clearer picture of the cash flows. 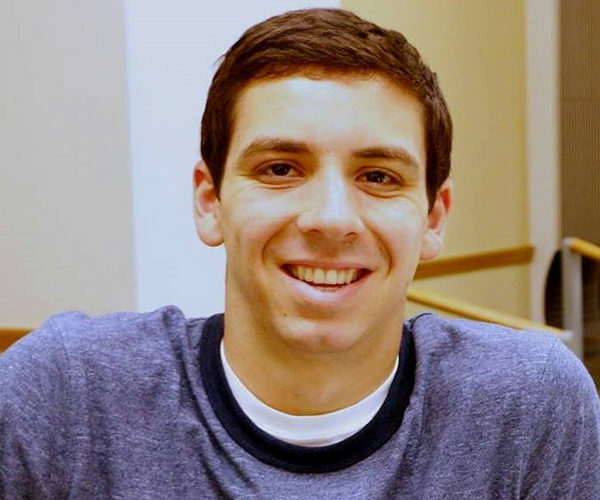 Robert: I gained a lot of hard, analytical skills by working on the private equity database. I now feel much more comfortable navigating and cleaning up large amounts of data. I also learned a great deal about the wide potential for social impact across industries. From mattress recycling firms to dementia care services, there really is no limit to the ways in which businesses can contribute positively to society. Rachel: I learnt how to excel at Excel. Most of our analyses are done on Excel, so I had the opportunity to strengthen my skills in that area. I even wrote VBA code to simplify our data cleaning process, which was fun because I got to put my knowledge from OIDD 105 to good use! What skills and knowledge did you get to bring to this project from your classes or other previous experiences? Tina: I’m concentrating in Finance and Social Impact, so having that background was very helpful. I’ve also taken Professor Geczy’s impact investing class, which gave me a lot of contextual knowledge on the status of the industry, the standards of measurement, and the potential challenges. I think working in investment banking last summer also helped me grasp the financial aspect of the project more quickly. Wendy: I actually worked on the impact investing project in the 2016-2017 academic year, so I’ve been very excited to come back and continue to contribute to the project. This semester involved more in-depth research into the funds and their portfolio companies, so I was able to incorporate my prior knowledge about the funds into the work for this semester. Robert: Having worked as a summer analyst at a boutique investment bank that focuses on M&A for tech companies in Silicon Valley, I was very comfortable with reading through the financial and legal documents of the venture-capital social impact funds. Experience with different asset classes such as preferred equity and convertible notes came in handy when investments in portfolio companies got particularly inventive and convoluted. Rachel: I brought my analytical skills to the table. The fellows had to create an overlay geographic heat map of the Opportunity Zones and the portfolio company locations, but we only had the unstructured data. I determined what data was relevant and structured it in a way that allowed me to easily create the map (which I hope you will see in another blog post) in Tableau. In your opinion, which industries hold the most promise for creating social or environmental impact? Tina: I believe the food industry has the greatest potential because it has such an outsized impact on the environment. A significant portion of climate change attributed to greenhouse gases is intimately connected to the meat and dairy industries. I try to live a vegan lifestyle, so I’m really excited by innovations in the transition away from meat-based products, whether it’s an entire social movement (Green Mondays) or a company experimenting with plant-based alternatives (Beyond Meat). Wendy: From my own experience working on analyzing the funds, there have been many investments in industries such as agriculture, education, and microfinance. Many of these portfolio companies are also in developing countries. I believe those industries and geographies would hold the most promise because they have the potential of empowering the communities there. For example, investing in education technology enables students in underserved communities to get better access to education; providing loans to farmers enable them to establish their own small businesses. Robert: I don’t believe that any one particular industry holds special promise for impact. The problems that plague our society are incredibly complex and multifaceted, so our solutions must be equally multifarious. In fact, businesses that cross industry boundaries with reckless abandon are those most prone to generate impacts because they are not limited to superficial commercial activities. Rachel: I think the retail industry has the most promise. All of us are consumers, and this provides retailers with the constant flow of resources to create social or environmental impact. For instance, Adidas partnered with Parley to make products out of ocean plastic. The demand, and subsequently revenue from these products will allow them to continue making an environmental impact on a larger scale. Did you encounter any investment models that were particularly interesting? Tina: I’m always intrigued by firms that invest based on negative screens, since these are relatively easy to apply and may not require too much additional effort from the investing firm. I wonder how much impact this actually creates and if the barrier to entry can become low enough that this type of impact investing becomes far more mainstream. Wendy: I think one interesting investment model is through issuing impact-focused financial securities. For example, the first social stock exchange was founded by Durreen Shahnaz in 2009 in Singapore, called Impact Investment Exchange. The exchange launched products such as Women’s Livelihood Bond. In addition, many organizations have also issued green bonds which are used to finance projects that generate social impact. Robert: Most investment strategies followed typical venture-capital models. Funds used instruments such as convertible notes and preferred stocks to place bets on risky projects, and generously used follow-on investments to double down on successful projects. Rachel: I didn’t encounter an interesting investment model per se, but I did encounter an interesting company — one that sells cricket chips! It takes 2,000 gallons of water to make one pound of beef, but only one gallon of water to make one pound of cricket meat. So, this company is helping the environment (and trying to inform people of the benefits of bugs) by selling food products made of crickets. Do you believe impact investing will continue to grow in popularity? What do you think is necessary to get it to scale? Tina: I’m certain impact investing will mature and become even more popular. Young people are demanding responsible investing practices, and focus shifts in huge companies like BlackRock signal a promising trajectory. I believe that as long as there is demand for sustainable and social investments, the industry will respond. Impact investing is currently such a tiny slice of the capital pie, but if large institutional investors are willing to try it, I believe it can scale up very rapidly. Wendy: Definitely! There have been more discussions on impact investing both in the finance industry as well as among my peers. This shows that people are in general more aware of social impact. There has been research shown that millennials tend to care more about social issues compared to previous generations. I believe that the growing awareness of impact will be an effective driver of the growth in impact investing. However, we would still need to work hard to get it to scale. According to GIIN, while both large and small private equity funds have demonstrated interest in the space, the goal of impact investing should be to transform the capital markets into a more socially and environmentally responsible platform. Simply integrating social impact into the traditional capital markets is not enough to realize this goal. Robert: Currently there are a few obstacles to mainstream acceptance, such as a lack of congruity in impact measurement standards and a wide distribution of returns across impact funds. As investment teams move towards ratings such as GIIRS and IRIS, limited partners will be more comfortable shopping around for investment products. Additionally, as funds continue to prove that social impacts can be generated without sacrificing financial performance, institutional investors will not have to worry about violating their fiduciary duties. Rachel: More and more people want to make a social or environmental difference. However, investors are risk averse, and unless there is strong enough empirical evidence that they will not be trading off too much financial returns for impact returns, it will be a challenge for impact investing to scale. What would you advise a student who was considering working with WSII as a Fellow? Tina: Definitely apply! You never know what opportunities are available until you reach out, and even if you don’t end up becoming a Fellow, thinking about what impact means to you and reasons why you’re interested is still a very rewarding exercise. It probably also doesn’t hurt to have a diversity of experiences related to impact, social work, or finance. Wendy: It would be a great idea to do some research to get to know the current landscape of the industry and understand what impact investing truly entails. Robert: I would recommend that the student carefully consider the full list of WSII Fellowships and pursue the one that ignites the most interest and passion. The Fellowships are quite different, and the work will be much easier and rewarding if the student is truly engaged and invested in the area. Rachel: Don’t be afraid to give it a shot! Coming in last semester, I barely had any idea what social impact investing was, but I applied anyway, and it’s been a great experience thus far. If you were an impact investor, in which regions and industries would you invest? I would be interested in impact investing in the agricultural industry. It’s currently dominated by huge corporations, so I think it’s ripe for disruption. Smaller, more innovative companies have significant capital needs, so there’s certainly room for investment. After all, the food system is something that touches everyone. I would invest in education technology in underdeveloped regions. I believe that education has undergone significant improvement over the past few decades due to the development of better technologies suited to educational needs. Since underdeveloped regions are in strong need for education, I hope to invest in these places to bring cutting-edge education technology to the communities. If I were an impact investor, I would use a growth equity strategy in American secondary middle-markets such as the Midwest. Many companies in these regions are overlooked by the large players and are looking for capital partners to scale up operations. The retail industry is receptive to social impact businesses because end-consumers have lower price sensitivity when there is a social cause embedded in the product. I would invest in Asia because I see a lot of growth potential in the region. Growing up in Malaysia, I’ve seen a lot of social and environmental issues that can and need to be solved, but the idea of impact investing has barely taken off in the country.